Fifty years ago in Moorestown, NJ, a small group of compassionate volunteers decided to bring their dream of a mental health organization to life. The vision for Family Service of Burlington County was broad yet simple- provide counseling and emergency intervention to adults, children and families in need 24 hours a day, 7 days a week. Using donated space, volunteers worked round the clock to offer counseling to families with nowhere else to turn. Over the next few decades, Family Service continued to strengthen to meet society’s ever-changing needs. By 2011 the agency expanded to offer 65 essential behavioral health programs for individuals and families throughout nine counties in southern and central New Jersey. In 2012, Family Service merged with Steininger Behavioral Care Services to form Twin Oaks Community Services. The name reflects the qualities of the mighty oak, which has deep roots in the community, many branches and as a work of nature, continues to grow and reach the highest heights. In just 3 years, Twin Oaks grew to grew to include over 120 programs and expanded services to include group homes, outpatient, partial care, housing, in-home and community services, food pantries, supportive housing, case management and more. 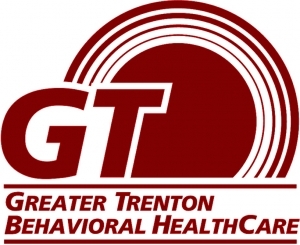 Twin Oaks Community Services merged with Greater Trenton Behavioral HealthCare in 2015 to form Oaks Integrated Care. By focusing on integrated care, we can begin to treat the whole person to achieve both mental and physical wellness. The merger significantly expanded our services into Mercer County to give more people access to quality behavioral health services. In 2016, Oaks Integrated Care welcomed Preferred Behavioral Health Group into our family of services as an affiliate. The partnership enhances our mission, expands services into Monmouth and Ocean Counties and strengthens our ability to succeed in the changing healthcare environment. As part of our affiliate network, Preferred Behavioral Health Group remains an independent company. Through the years, as our diverse histories come together, our commitment remains to helping those who need it the most. Each new partnership brings the opportunity for growth, giving more people living with a mental illness, addiction or developmental disability access to compassionate, quality care. Today, with 230 programs serving 34,000 individuals and over 2,400 employees, Oaks Integrated Care is one of New Jersey’s most comprehensive and forward-looking human service providers. We hope you will continue to share our story with the people who help us recognize that our journey is just beginning!